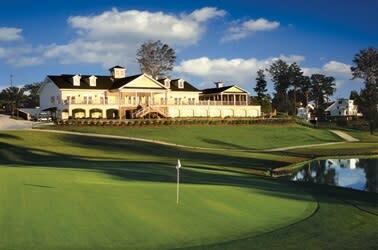 Eagle Ridge is a golf course that can be enjoyed by all golfers. Higher handicappers will find their safest route to the green and “players” will find plenty of risk and reward opportunities. This par 71, 6,904-yard track, set in a spectacular, wooded rolling terrain about 15 miles from Raleigh, North Carolina is a challenging and rewarding test for players of all skills levels since it opened in October 2000. Eagle Ridge was designed by 1992 US Open Champion Tom Kite. And he did much more than just lend his famous name to the project. It’s estimated he made almost two dozen trips to the course during its development The characteristics of this beauty reflect the qualities that made Kite a 19-time PGA TOUR winner – a hard working attitude and the ability to hit wedge shots close.